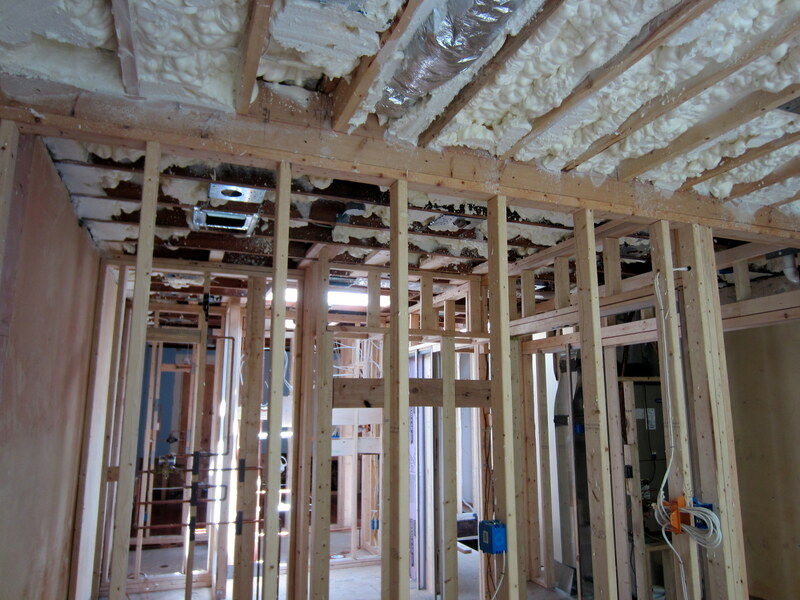 With the renovation, we’re properly insulating all of the exterior walls that are framed. We can’t do anything about the front of the house or the eastern wall north of the framed area, since these walls are solid brick. The west side is a party wall, so no need to insulate there. 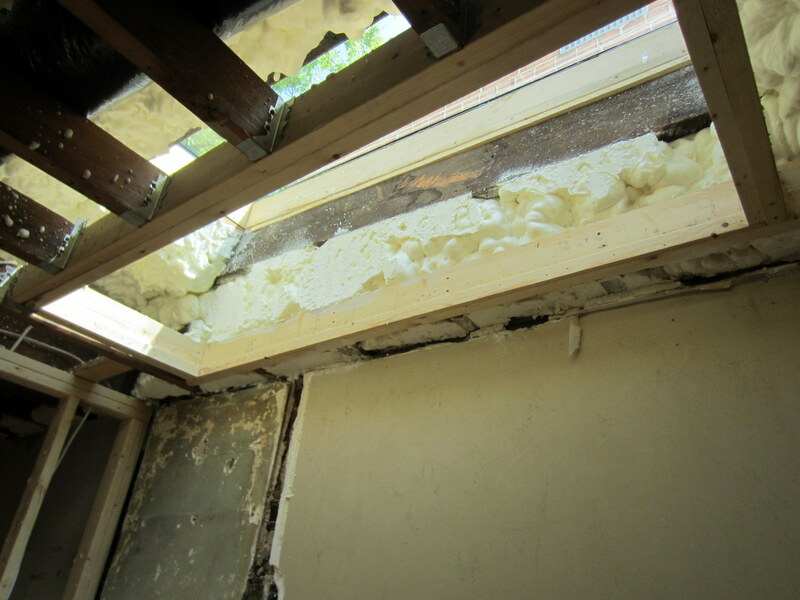 Isynine (foam) insulation below the roof deck, at the joist ends, and below the kitchen door overhang. 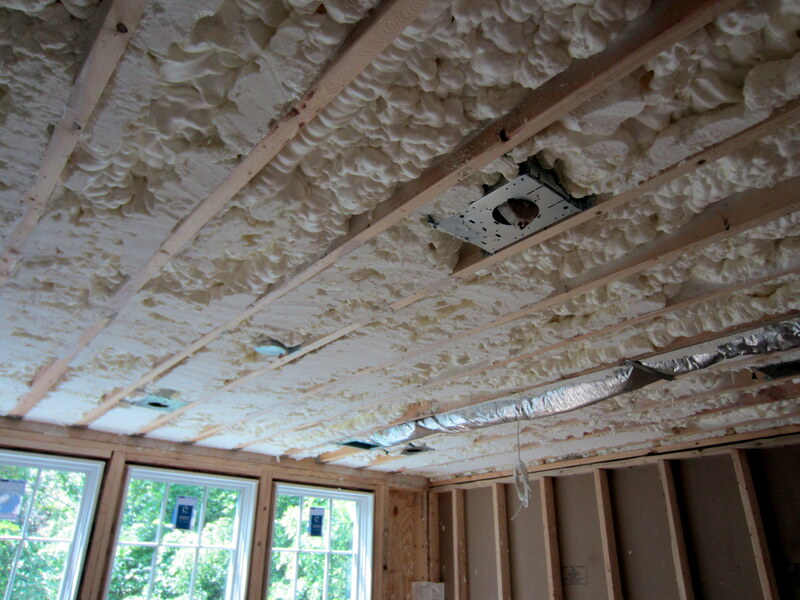 Foam insulation’s got the best insulation qualities, but is also several times the cost of batting, so we use this on the most critical areas. 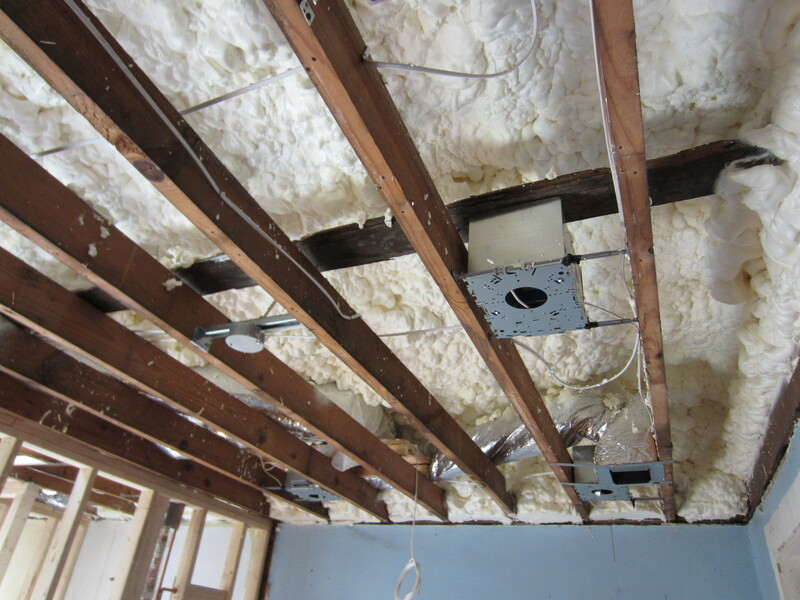 Cellulose insulation in the ceiling joists between the first and second floors and between framing on several interior walls. This has nothing to do with insulation against the weather and everything to do about sound attenuation. 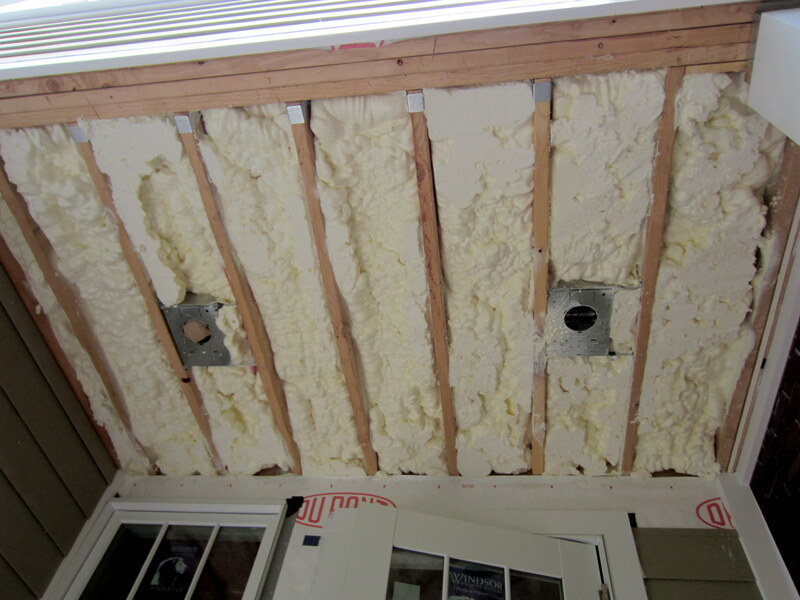 This post shows the aftermath of isynine insulation application. 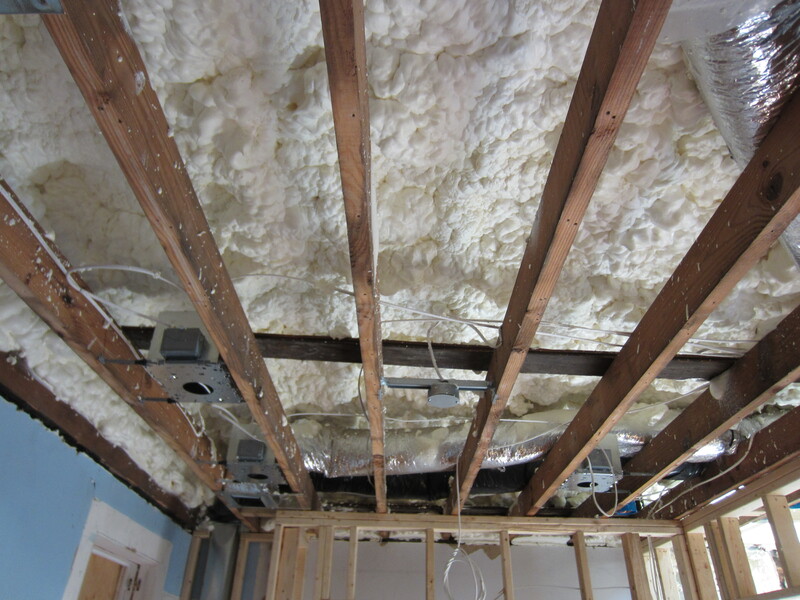 As we look north on the second floor, the foam begins to adhere to the roof above the rafters, since the roof deck is sloping up. 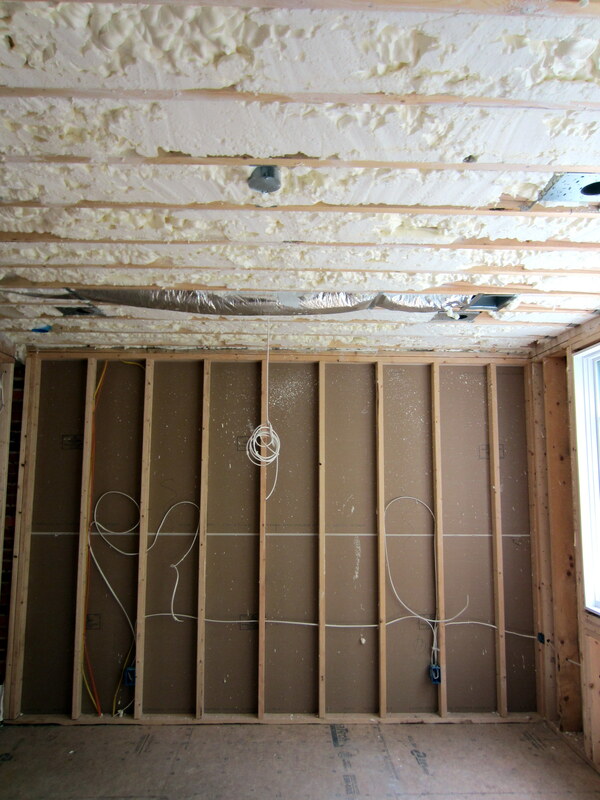 Next up: batt insulation installation blog publication. What, pray tell, is a ‘party wall’? Did I miss something? Based on recent draconinan city rules (like the one that prohibited replacing our front windows), that explanation wouldn’t be surprising. Property line down the party wall – we’ve dealt with issues in that area, too . . .